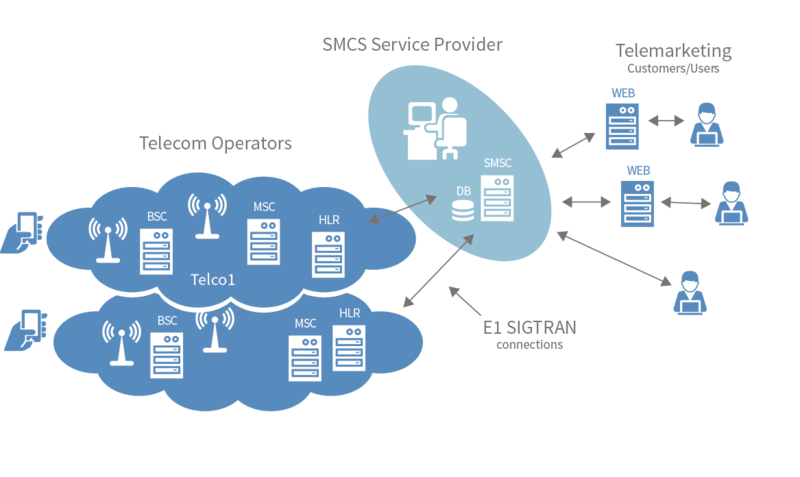 The SMSC Service Provider uses the SMS Center platform and its features for managing connections to mobile operators including commercial conditions, and secure high performance on SMS messages like bulk campaign advertisements send by telemarketing customers. The web user interface provides efficient tools for SMS Center platform administrators and for customers campaign management. MT bulk for advertisement campaigns, etc. MO for subscriber responses to advertising, radio/tv broadcasts, contests etc. Try a demo of the solution’s web-based GUI for operation and maintenance here. Please email sales@netfors.com for account details. © 2014-2015 Netfors ApS | All rights reserved.